In February 2019, Spine Connection and our patients featured in a news article by senior journalist Paul Toohey from News Corp Australia. The article was syndicated nationwide in online and capital city newspapers. While Spine Connection assist new patients from all over the world, there is no doubting the strength of our Australian patient network. Mr. Toohey spent weeks interviewing local and overseas surgeons and patients, even travelling to Thailand and out to rural areas, to truly investigate why Australians living in a modern country with a high level of healthcare were deciding to travel overseas for elective healthcare surgery. 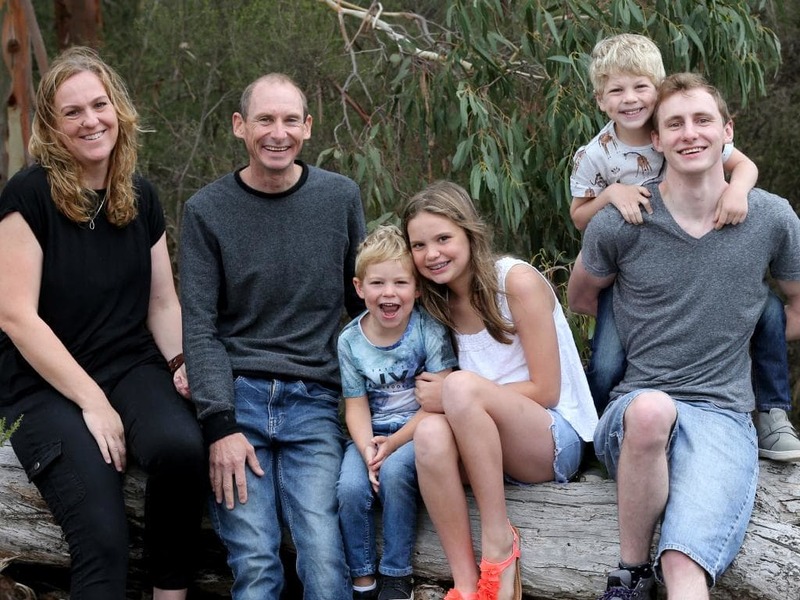 The article introduces Spine Connection patient Jason Wimmer and his family from Anakie, just outside of Melbourne Australia. 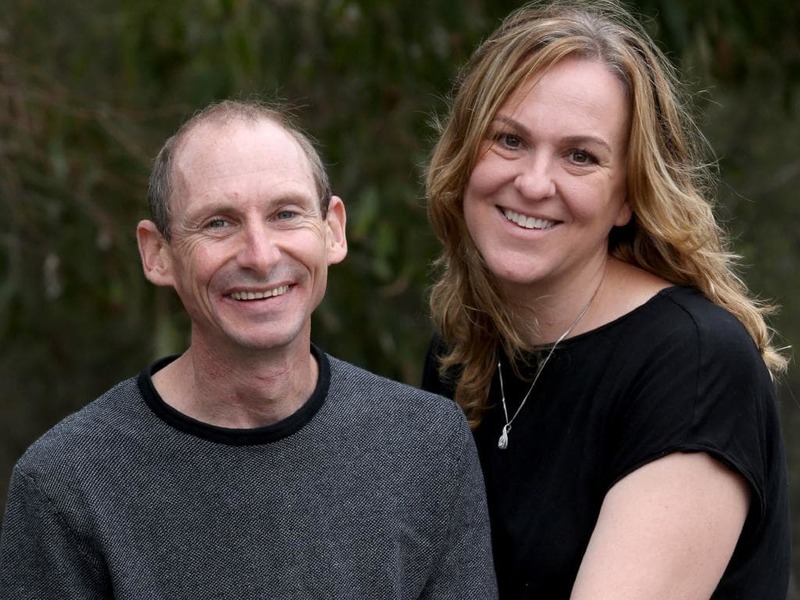 After injuring himself working on the family home, Jason endured two years of back pain and after consulting with four surgeons, the consensus was that nothing needed to be done and he should quit his job, get a pension and go swimming. Jason and wife Hilary contacted us we guided them through a remote evaluation with our German Spine Specialists. Within seven days he was advised for a 3-level disc replacement in his neck (to fix damage in his neck adjacent to a previous spine fusion) and 1-level in his lower back. 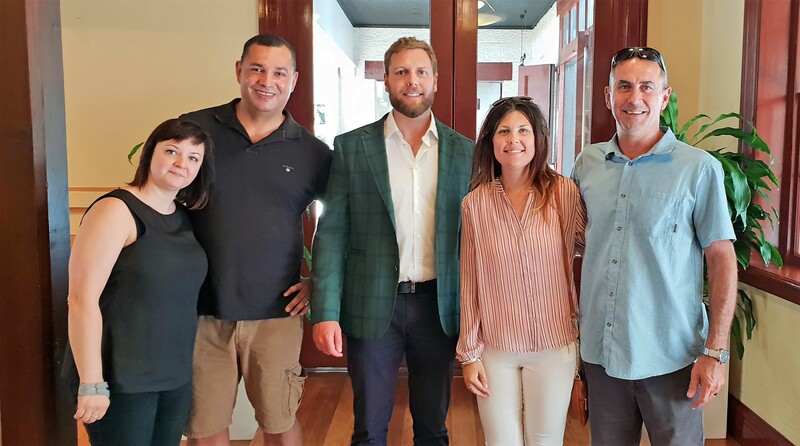 Jason and his wife had made up their mind and travelled to Germany in December for surgery with Dr. Bernd Illerhaus, at the same time two professional Australian Football League (AFL) players headed to Germany to see a German surgeon for hamstring problems. 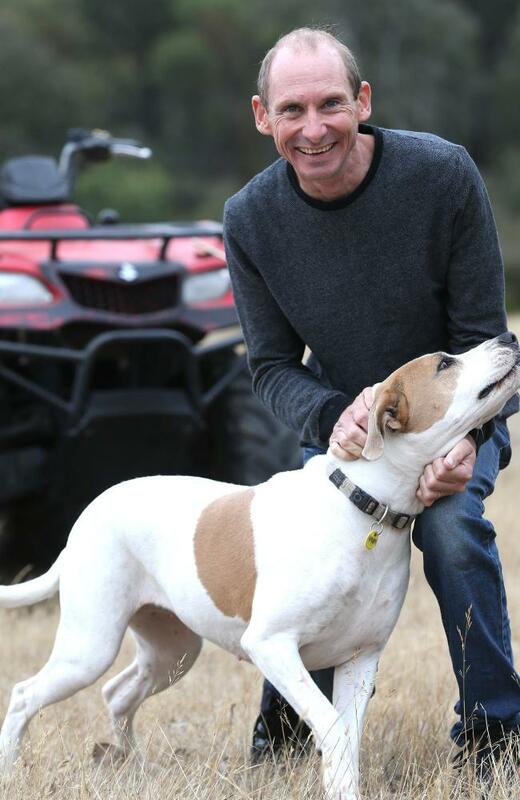 “No one frowns on sports stars seeking offshore repairs, but ordinary citizens seeking better lifetime outcomes are seen as extreme risk-takers,” Journalist Paul Toohey wrote. Almost 10 weeks after his surgery, Jason told Mr. Toohey he was delighted with his results and was already heading back to light duties as a building inspector. The news article discussed how the Australian medical profession had complained against Australians heading offshore, but Dr. David Martin, president of the Australian Orthopedic Association, said he knew why people were leaving the country. “I think people are shopping offshore because they feel the waits are too long, and they are looking at the costs of the private care in overseas locations like Thailand and India, and in Germany for spinal surgery,” he continued, “I can understand people will make decisions they think are in their best interests. The public system will look after people but the constraints on healthcare and the waiting lists are longer than we’d like”. 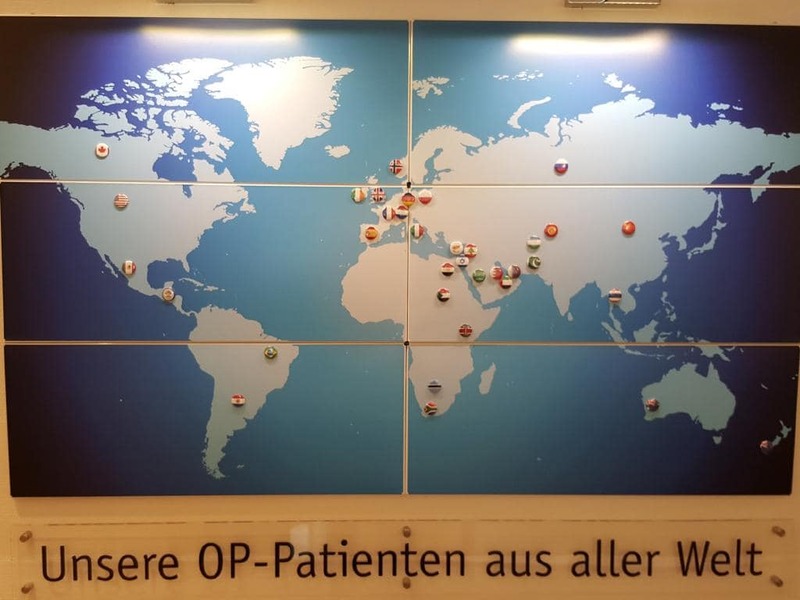 On the wall in one of our Spine Centres in Germany: The words translate to: “Our surgical patients from all over the world”. Note: Video Footage of Jason’s actual surgery with Dr. Illerhaus will be published on our Youtube Channel by early April, 2019. 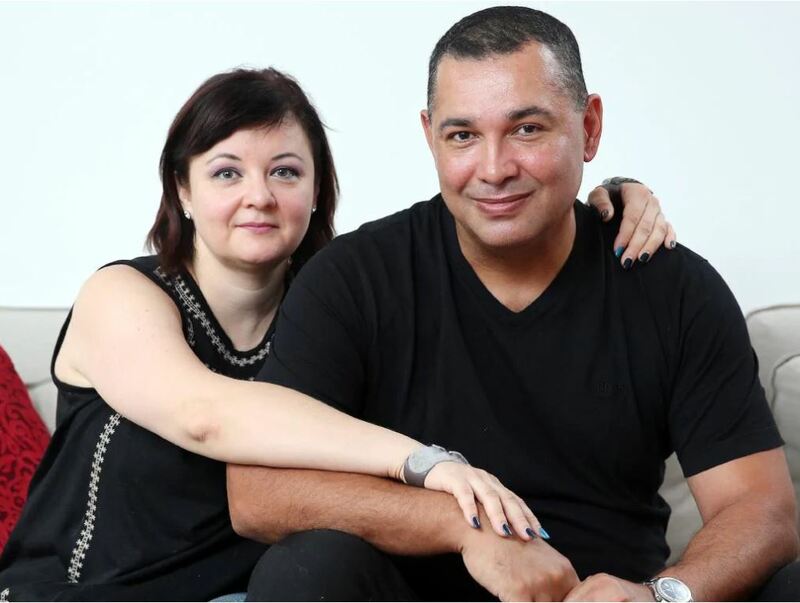 No regrets: Fabian Perez and his partner Adriana Barlova. Picture: Tim Hunter. The news article also introduces Spine Connection patient Fabian Perez from Sydney, who also travelled to Germany for a 2-level disc replacement in his lower back. “Adrian Barlova was watching her partner, Fabian Perez, 46, becoming an old man before her eyes. Two of the discs in his back had degenerated with disease but he was told [in Australia] he was not a candidate for disc-replacement surgery.” The article continues, “Long stints on physio, epidural steroid injections, and then his worker’s comp ran out and he was made redundant. “I couldn’t walk, I found it hard to shower,” Fabian said. After Fabian contacted us we guided him through a formal evaluation with our German Spine Specialists. Their senior neurosurgeons came back to us that according to their experience and technologies, he would be a suitable candidate for the procedure he was seeking. Like every patient Fabian was nervous, and so we put him in touch with our Support Network, other Australian who had returned from the same journey, “Any operation is a risk but there’s risk in not doing anything.” Fabian said. Two years after his surgery, Fabian is back at work as a photocopier tech. “I go swimming, I do full-on fitness circuit workouts, I kayak in Sydney Harbour and don’t take any medication. My life’s gone back to normal”, Fabian said. Note: Click here to view Fabian’s entire spine journey with us. Jake Lemon with Fabian (patient) and wife Adriana, as well as Clarissa and Jason (patient). While researching for the feature article, Journalist Paul Toohey spent time overseas visiting Australian patients at hospitals in Thailand, searching for a ‘behind the scenes’ perspective on this healthcare medical travel phenomenon. Along with Germany, the Spine Connection organisation includes the top hospitals and spine surgeons in Bangkok, and it was fantastic to see Thailand included in the feature article. 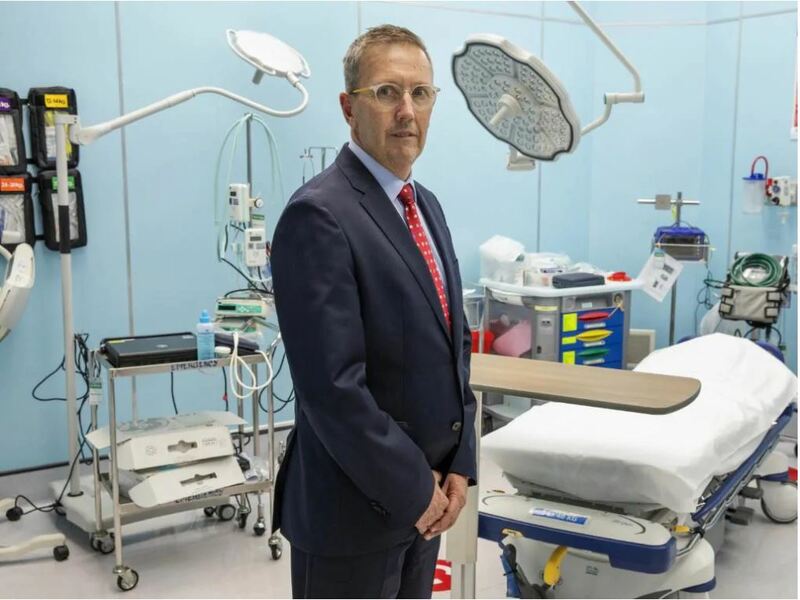 Toohey spent time talking with Australian hospital director Michael Mitchell, who is now in charge of setting up Bangkok Hospital’s new six-star butler-attended hospital. Mr. Mitchell came from a background running hospitals in Newcastle and Dubbo, and explained the main reason patients were coming to Thailand is if they don’t have health insurance and had to pay for private surgery at home out of their own pockets. When it comes to endoscopic minimally invasive spine fusion surgeries, and robotic assisted spine surgeries, we believe our Bumrungrad Spine Institute in Bangkok to be the most experienced and have newer technology, even compared with hospitals in Australia and New Zealand. 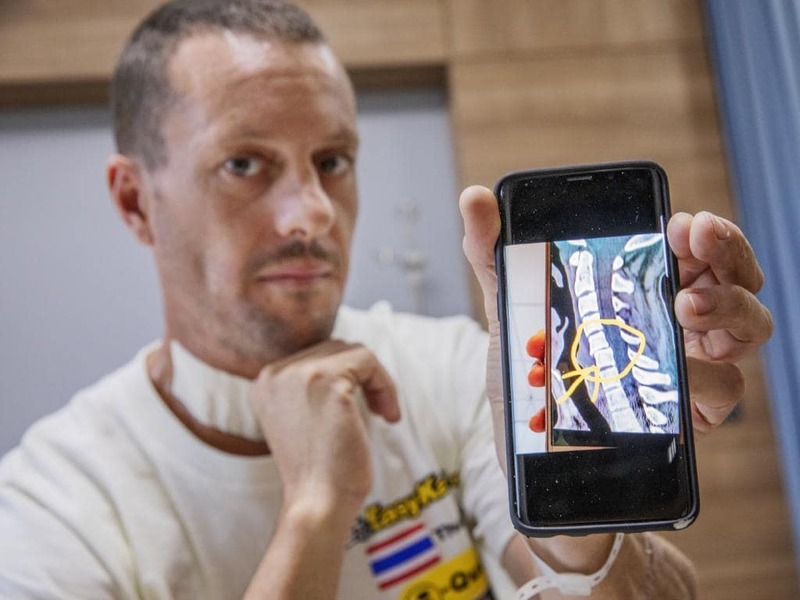 Journalist Paul Toohey came across Roger Priest, a spine patient from Mackay, on the sixth floor of Bangkok Hospital. He had slipped and broken his neck on Christmas Eve in nearby island paradise Koh Samui. Priest was evacuated to Bangkok Hospital after his travel insurer consulted with Thai and Australian surgeons. Both agreed he should be treated in the large luxury hospital, by the senior surgeons of the Bangkok Spine Academy. “The endorsement from Australian experts spoke volumes,” Journalist Toohey wrote. Patient Roger Priest said, “I was told this was one of the best hospitals in the world…I’ll roll with that”. Spine Connection provides patients in need with a second (or third) independent medical opinion to consider. We value the strongest relationships with our patients before, during and after their treatment overseas. 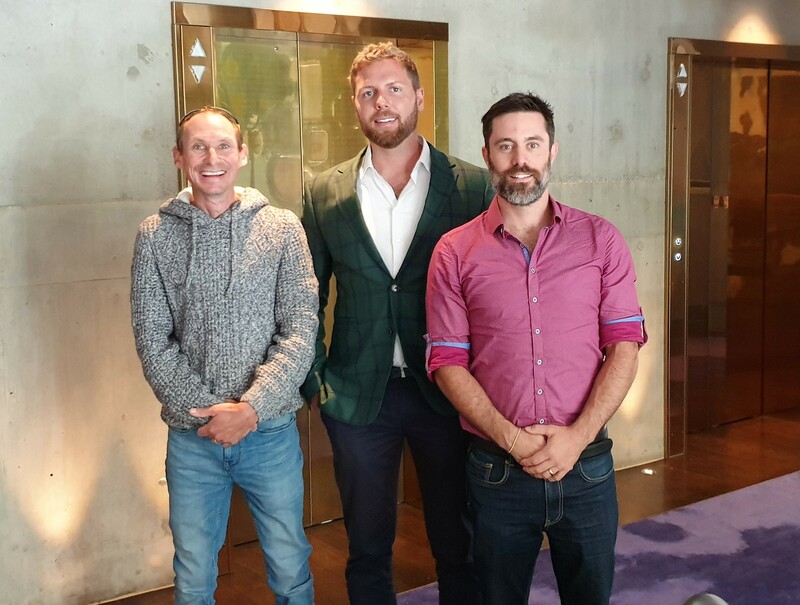 Be sure to read about our recent 2019 Patient Day & Reunion Dinner in New Zealand, with Dr. Thomas Bierstedt, Malte Petersen and Jake Lemon.